The core mission of StandUp For Kids is to end the cycle of youth homelessness throughout Silicon Valley. Everyday homeless youth face obstacles that most of us cannot comprehend. Where will I have my next meal? When can I shower? Where will I sleep tonight? StandUp For Kids helps homeless youth tackle some of their everyday obstacles and work towards a life off the streets. From basic necessities such as food, clothing, and hygiene to resources for housing, employment, and education, StandUp For Kids mentors use an open, straightforward and caring counseling approach to help kids reach their full potential. 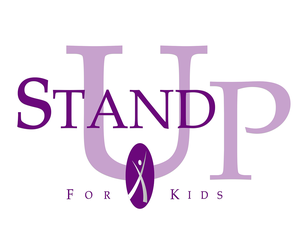 StandUp For Kids - Silicon Valley runs several programs (street outreach, mentoring, outreach center, school and apartment assistance) to help this mission by providing homeless youth the assistance, training and resources to make a successful re-integration into society.